Heavy-duty paper trimmer is designed specifically for high-use environments with an 18-sheet capacity. X-acto hardened steel blade features a Perpetual Edge Self-Sharpening System. Sturdy square base is made of 3/4" thick solid wood. Trimmer has a safety latch and safety guard to keep fingers away from the blade. 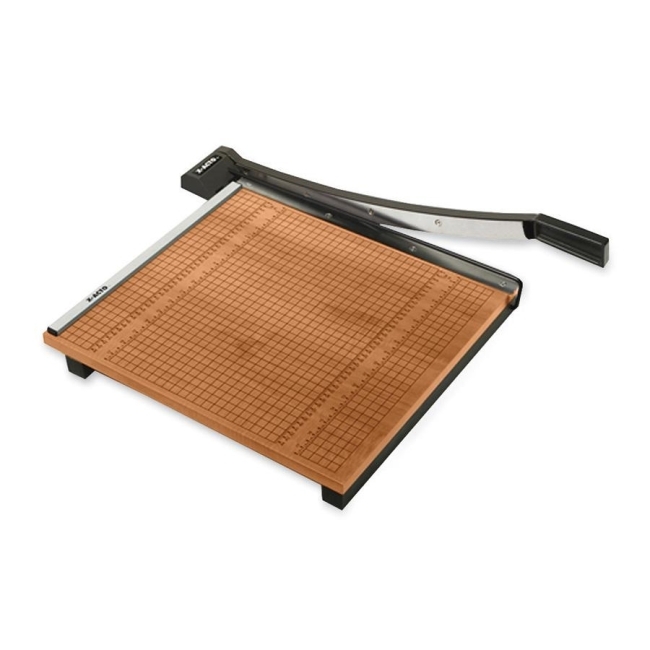 English and metric grids are designed for accurate measurements and precise cuts.